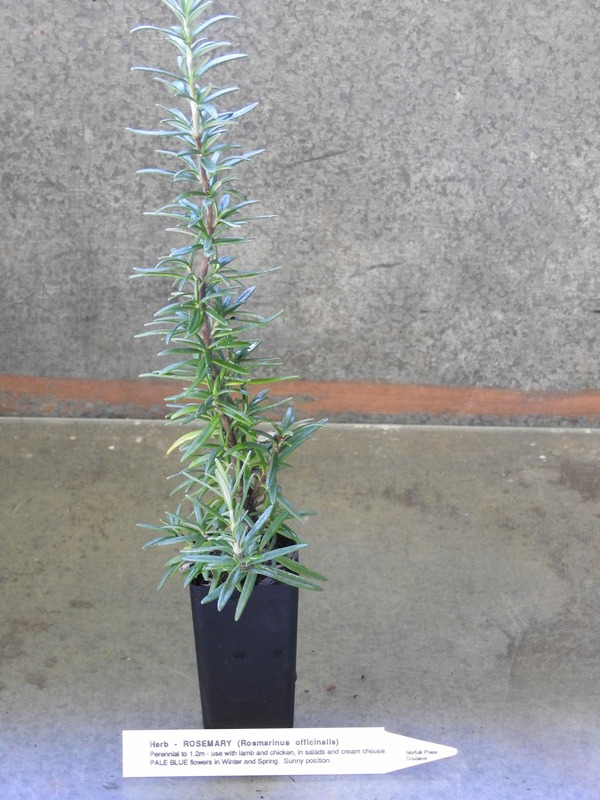 Rosemary “Tuscan Blue” plant is a selection of official Rosemary, Rosmarinus officinalis. The same culinary and medicinal uses apply. The main difference being the strong dark blue colour of the flower, rather that the usual pale blue or white. Rosemary acts a circulation stimulant and anti-oxidant that is better known as a culinary herb. Essential in every garden. A preferred flavouring with lamb dishes. Aids in the digestion of starchy foods such as pasta. Traditional and contemporary use in a hot bath as a remedy for rheumatism, muscle pain and soreness. A companion plant and used in pot pourri. A cold infusion used a conditioner for dark hair. Traditionally this Rosemary is the herb of remembrance. Rosemary is a native of the Mediterranean region and prefers light, well drained soils in a protected, sunny position. Small dark blue flowers appearing in spring and summer. Small pale blue or white flowers appearing in spring and summer. Small pale blue or white flowers appearing in spring and summer. Drought and frost resistant. An evergreen shrub, growing to 1.5m x 1.5m. Be the first to review “Rosemary “Tuscan Blue”, plant” Click here to cancel reply.